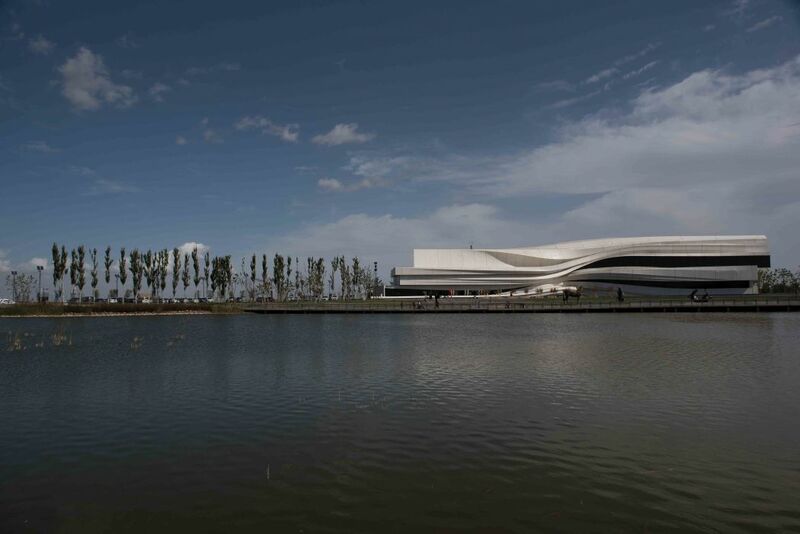 In the outskirts of Yinchuan, where dusty trucks carry building materials past ramshackle farmhouses and the occasional factory spills its noxious by-products into the air, stands a new contemporary art museum, its white exterior and flowing lines reminiscent of the Guggenheim in New York. Yinchuan is a small city by Chinese standards. It is home to around two million, which makes it the nation’s 253rd most populous. But it is the most recent one to boast a Biennale – a large-scale recurring contemporary art festival which has a knack of putting cities on the map. The desert city is the capital of the Ningxia Hui Autonomous Region, a tiny province in north-central China sandwiched between Inner Mongolia, Gansu, and Shaanxi. It is ostensibly self-governed by the Hui people, one of China’s 56 ethnic minorities. Ningxia is strategically important for China’s One Belt One Road initiative, a group of policies intended to extend China’s economic and diplomatic reach to Central Asia and the Middle East. It is based on the idea of linking countries in areas that would have been connected by the ancient silk road. The predominantly Muslim Hui minority, which comprises about 36 percent of Ningxia’s population, shares a religion with the Middle East. They are believed to be descended from Arab merchants who came to China via the historic route, according to a narrative often spoken of by the Chinese government. The government listed Ningxia among the provinces that will be part of the overland “economic belt,” hoping it will be a bridge between China and the Arab countries. ’15 Decibel’ by Yinchuan artist Mao Tong Qiang. 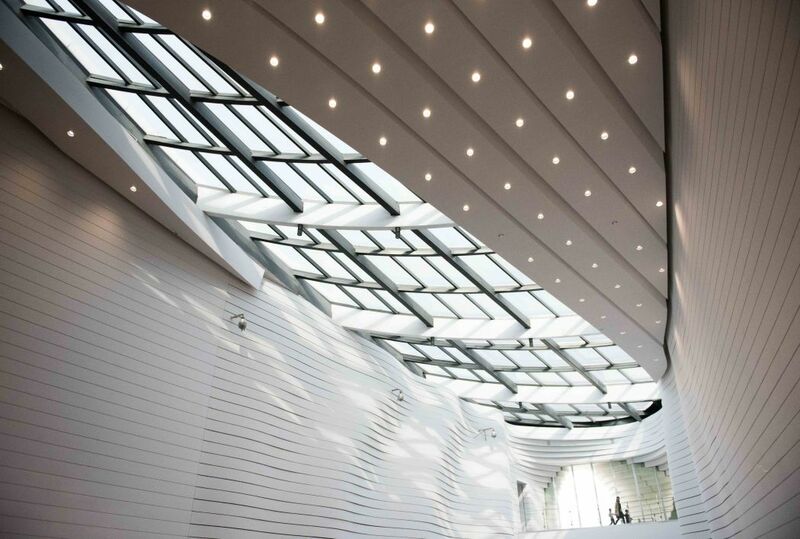 The 300 million RMB museum is run under a public-private partnership with the government called a BOT model – build, operate, transfer. The land is owned by the government, but the non-profit institution is owned and operated by the Ningxia Minsheng Group, a regional property developer. It will be transferred to the government little by little, said Hsieh. Kyle Haddad Fonda, a doctor of Oriental Studies who researches the history of China’s ties to the Middle East, said Yinchuan is being made into the centre for Chinese Islam for visitors from the Middle East. In May, Emirates started operating direct flights to Yinchuan from Dubai. The move allows investors to fly to Yinchuan from the wealthy coastal region of the Middle East, he said. 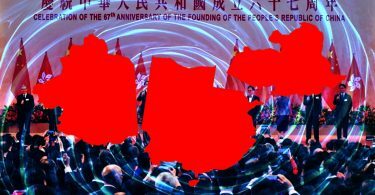 According to Haddad-Fonda, people who visit in a semi-official capacity from the Middle East, like university groups, think tanks, youth groups or journalists, virtually always end up in Yinchuan. The museum’s stated focus on Sino-Islamic art was decided upon in August 2014, a year before it opened, said Hsieh. It is the only museum with this definition in China. 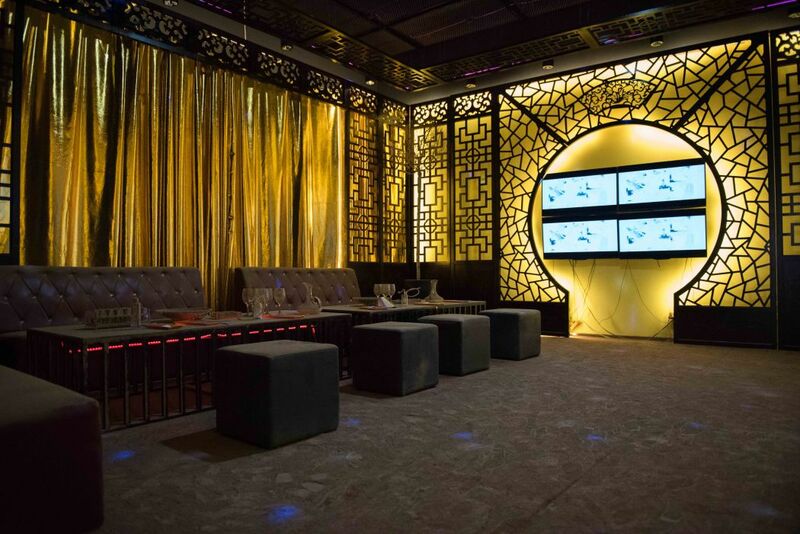 It was a way to differentiate Yinchuan MOCA from the many private contemporary art museums in China, she said. 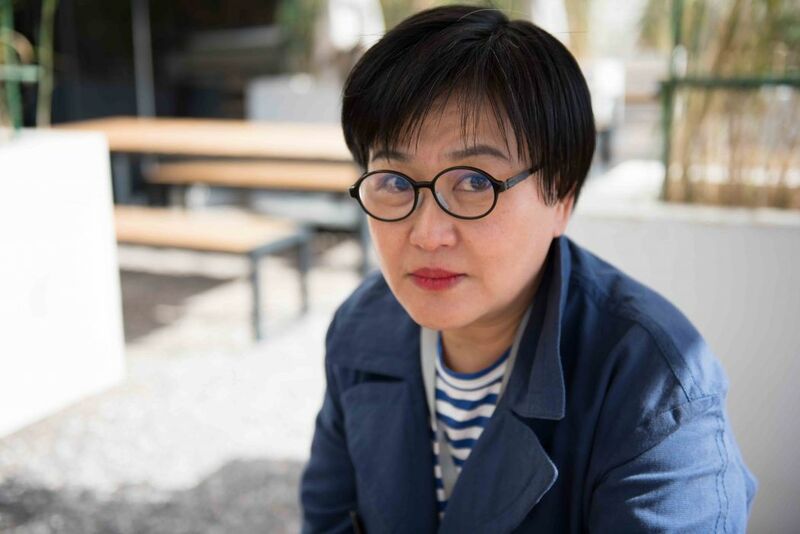 “We considered history and geography, especially because we’re the only Hui autonomous region, so we think that kind of definition works better for this museum.” She said their unique area of focus attracted attention from Middle Eastern countries and from overseas media. The biennale exhibition features 74 artists from 33 countries such as Lebanon, Iran, Saudi Arabia, the UAE, India, Bangladesh and Malaysia. It is curated by Bose Krishnamachari, an Indian artist. Among the participating artists, Australian Khaled Sabsabi, who is of Lebanese descent, is a very representative Islamic artist, said Hsieh. Ammar Al Attar, a Dubai-born artist, contributed a series of self-portraits centred around the act of prayer in Islam and Saudi-Palestinian artist Dana Awartani submitted works inspired by Islamic geometric shapes. Although Hsieh sees the museum’s priority as educating the people of the Northwest, she said it was impossible for the museum to counter islamophobia, as Art Newspaper previously suggested. All the museum can be is a stage for a cross-over of Chinese-Islamic art, she said. In the mid-1950s, foreign visitors would be taken to Urumqi and told that it was the centre of Islamic culture in China, said Haddad-Fonda. Now the focus is on the Hui rather than other minzu, he said, using the term for Chinese ethnic groups. The Xinjiang region, which is populated by the predominantly Muslim Uyghur ethnic group, is often the site of violent unrest. China has launched a police crackdown on separatist “terrorists” it says are behind the violence. Its fears of “Islamic radicalism” have increased with reports of Uyghurs joining the Islamic State. “So the government wants to present the Hui as a vision of what Chinese Islam looks like,” Haddad-Fonda told HKFP. 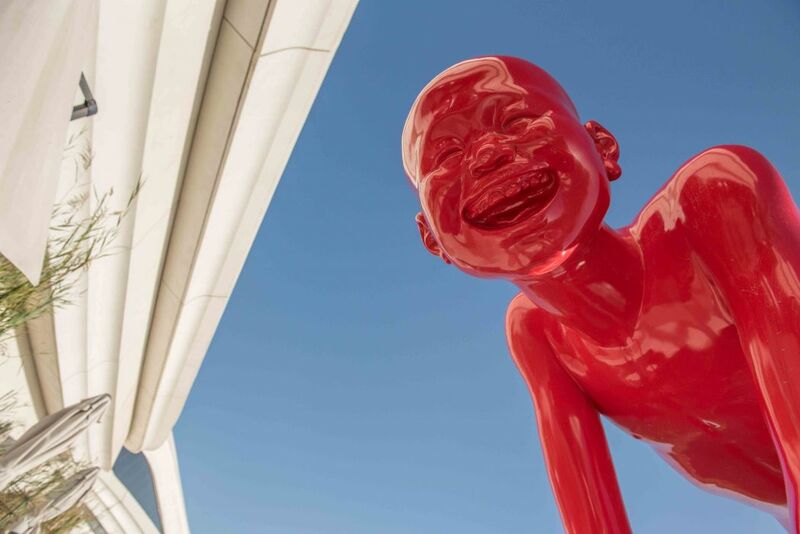 Hsieh said the museum’s goal is to attract not only visitors from outside of China, but visitors from Ningxia and its surrounding provinces. 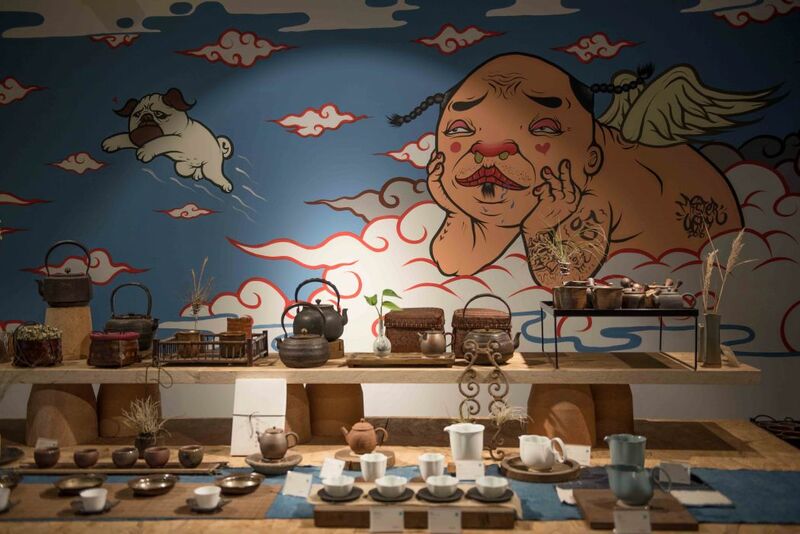 Artists from Gansu and Inner Mongolia have told her upon visiting that they wished they could have a museum like Yinchuan MOCA in their provinces, too, she said. 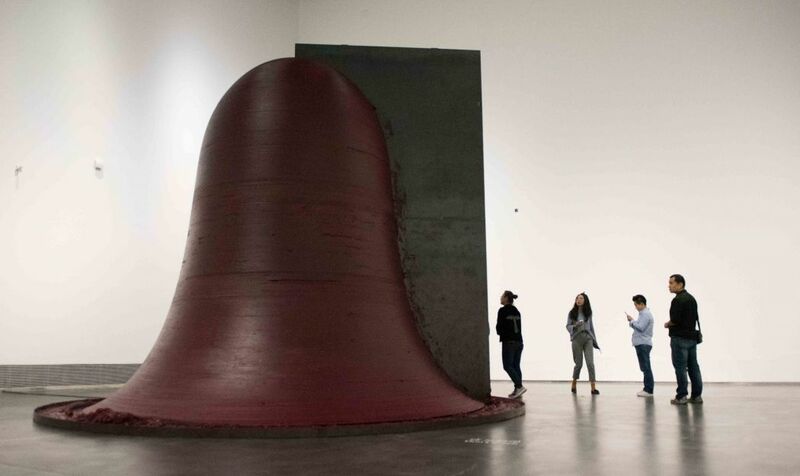 Visitors look at a piece by Anish Kapoor. Although the museum’s focus is consistent with Ningxia’s desire to present itself as the Islamic centre of China, its emphasis on Islam is very different from other state-sponsored attempts to promote “a state-sanctioned version of Chinese Islam.” The slick building and the wide range of international artists such as Yoko Ono and Anish Kapoor ensure a very different experience, one that visitors responded positively to. 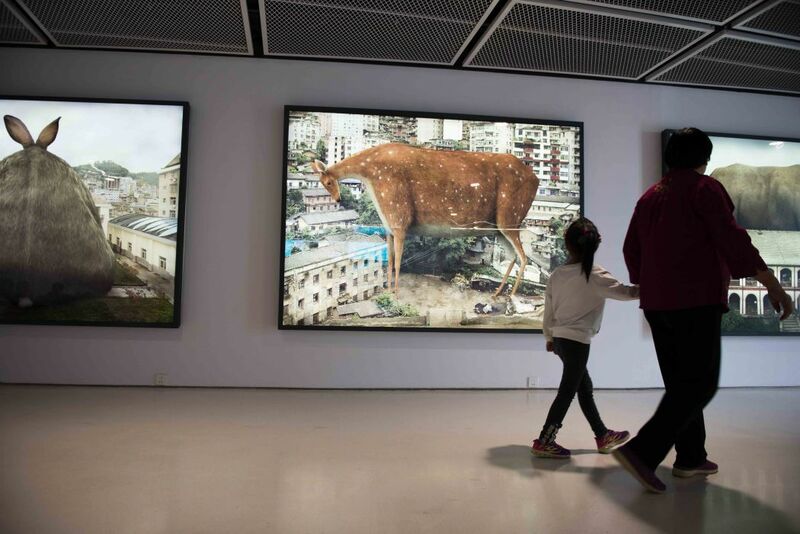 One of the most popular exhibits is by Beijing artist Song Dong, which is prominently featured in the museum’s main hall. 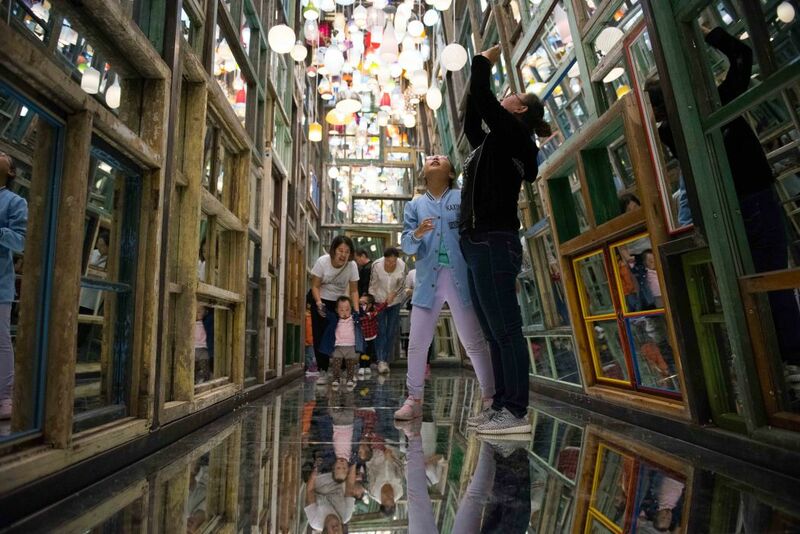 A funhouse the size of a garden shed, it is built of discarded picture frames with mirrors installed on the outside and on the walls and ceilings, with lamps hanging from the ceiling. Visitors lined up to enter the structure and take pictures of themselves inside. ‘Through the Wall’ by Song Dong. Hsieh said her biggest challenge is bringing people to the museum. 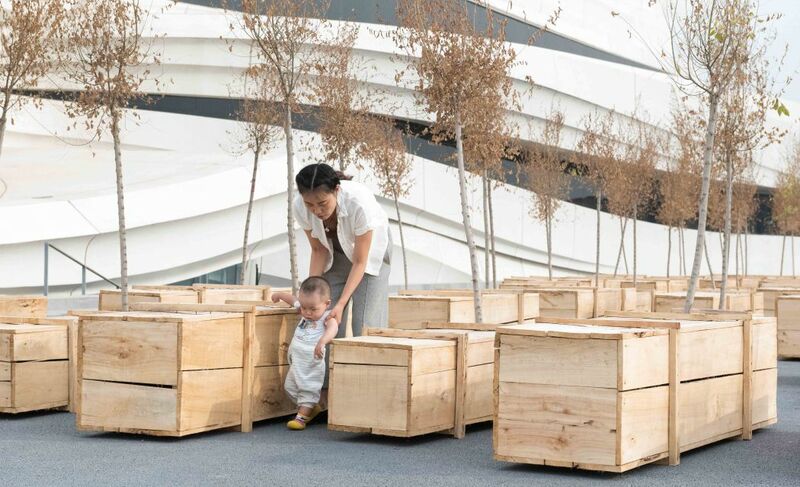 She said that the museum has already accomplished the first step if visitors bring their children along – even if they don’t understand, she hopes that some of them will be inspired by the art. 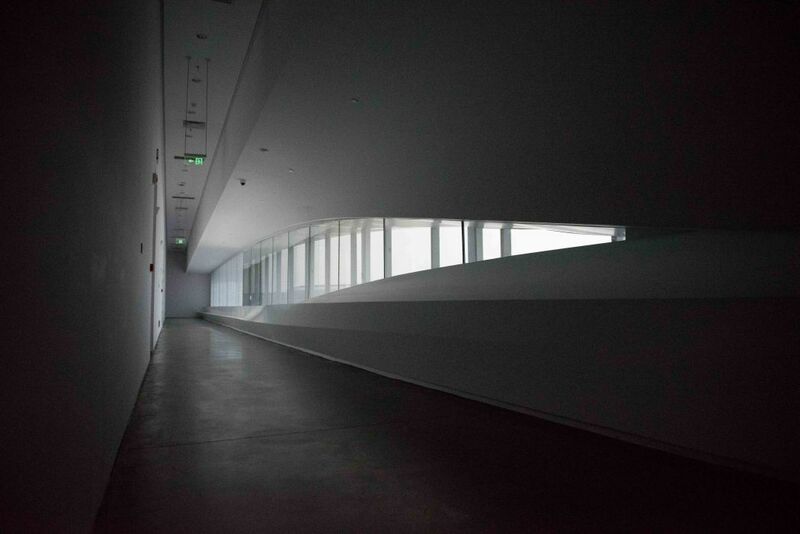 He said it was very rare and novel to see something like the biennale in Ningxia. As someone from Ningxia, Kang said he hoped that there could be more cultural institutions like the museum to bring visitors to the area. A display in the gift shop. Aside from potential economic benefits from government investment, Haddad-Fonda said the people in the region are affected by the government’s focus on the area in another way. He has seen a lot of enthusiasm from Ningxia people to learn about the Arab world, he said. Ms. Wu and her husband brought her niece, nephew, her son, and his girlfriend to see the museum. They live in different parts of China but were in town for the national holiday. She planned on bringing the whole family, including her elderly parents, back to the museum the next day, she said. Ningxia should showcase the special characteristics of the Hui and not only discuss the Hui as an ethnic minority, she said. 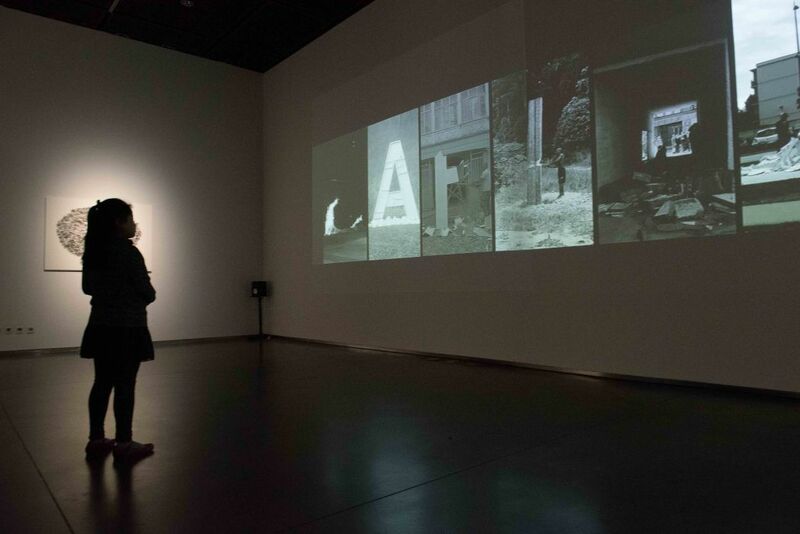 The Yinchuan Biennale made headlines in August, when Ai Weiwei announced that his work had been dropped from the exhibition for political reasons. Asked about the controversy, Hsieh said that there is censorship in every country, only in varying degrees. The museum is a public space and therefore has a responsibility to the public, she said. “I think the duty of a museum is to do local education well,” she said. To be able to bring in school groups of all ages, the museum needs to have good communication with the local government. “When we can’t achieve good communication with the local government, all those roads are cut off,” she said. Visitors walk through an installation by Yoko Ono. The One Belt One Road initiative is linked with the ancient silk road, but the museum represents something quite different from this ancient past. 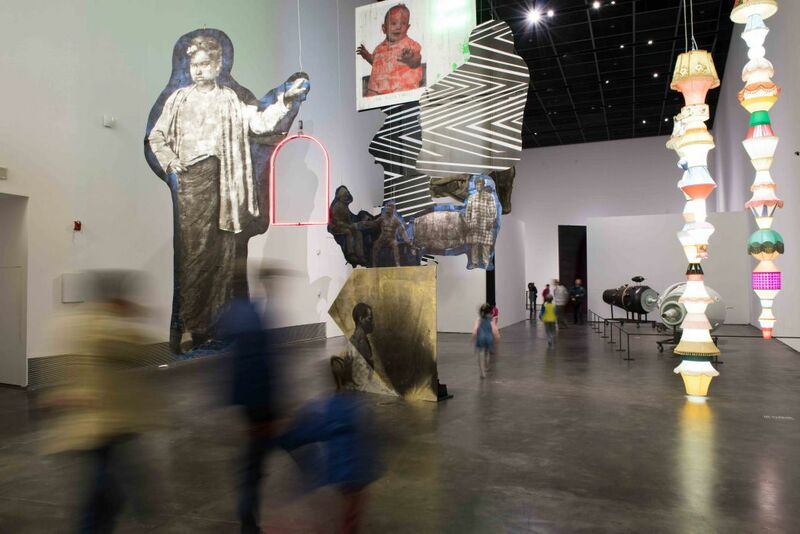 The museum “is the only cultural thing that is still alive,” Hsieh said. Hong Kong Free Press is a new, non-profit, English-language news source seeking to unite critical voices on local and national affairs. Free of charge and completely independent, HKFP arrives amid rising concerns over declining press freedom in Hong Kong and during an important time in the city’s constitutional development.